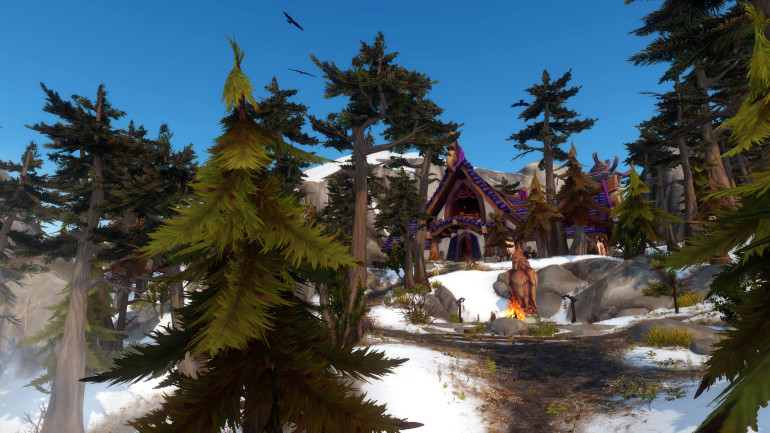 We received a fairly unexpected announcement from one of the blizzard developers today, regarding a complete overhaul of the way stats will scale on gear. The reasoning they gave was that there are some specs that are just miserable to play until you get to a certain level of secondary stats; the common example being fire mages, which apparently aren't much fun until you have a significant amount of crit. This was true for SV hunters and Multistrike at the beginning of WoD (before the complete and total nerfing of the spec so there would be no one playing SV in PvE when they switched it to a melee class). This seems somewhat true for MM hunters at the moment, as your reliance on RNG goes down at higher crit levels, and to me, less RNG means more fun in most situations. This is being accomplished by a combination of two methods. First off, they're changing the stat conversions, so it only takes half as much of a stat to get 1% of a stat (as it would have taken at level 110). This means that in dungeon-level blue gear, the secondary stats on each piece of gear will be worth about twice as you normally start an expansion with. Second, once your piece of gear is then above a certain ilvl, the amount of secondary stats it gets will (hopefully gradually) switch from an exponential stat increase to a linear stat increase. The Agility on the items will continue to increase exponentially, as it currently does. If you'd like to read the full post from Celestalon, you can do so here. The explanation we've been giving for the need for exponential gear/stat scaling is that it lets a wider range of players complete content. That is to say, a guild like Method, with a very high skill level and effort, should be completing mythics in week one, with only a week's worth of mythic gear, while a guild like mine, with considerably less skill and effort, won't finish the last mythic boss until we have maybe a dozen weeks of farming mythic gear, and we're all basically in our "best in slot" sets. I know of several people who I've heard complain about the exponential scaling of gear being a significant problem for the game (the Grumpy Elf comes to mind, for one). At this point, I tend to agree with them. The introduction of split raids makes the reason for having exponential stat increases less compelling. A side benefit of it may be needing stat squishes less often (if wow ends up having more expansions than Legion). Anyhow, I don't want to pass much judgement before getting a chance to experience the "feel" of it on beta, which I think I'll go do now, as they also just opened up level 110 testing on the beta.